Not sure there is anything more comforting than a massive bowl of steaming chilli. Not Chilli Con Carne by the way, that slop is the stuff of nightmares. I am a big fan of beef mince but when it comes to chilli it’s got to be low and slow, thick and unctuous and full of chunky beef. As usual, I feel the need to put in my disclaimer that this is not “authentic” but it always wins in the taste department as far as I’m concerned. Get your hands on a decent spiced porter like the above from Moor beer, or if you prefer a smoked German beer works equally as well (easiest to get is German Aecht Schlenkerla Rauchbier Märzen). Basically, you want to get as much flavour into your brisket as possible. 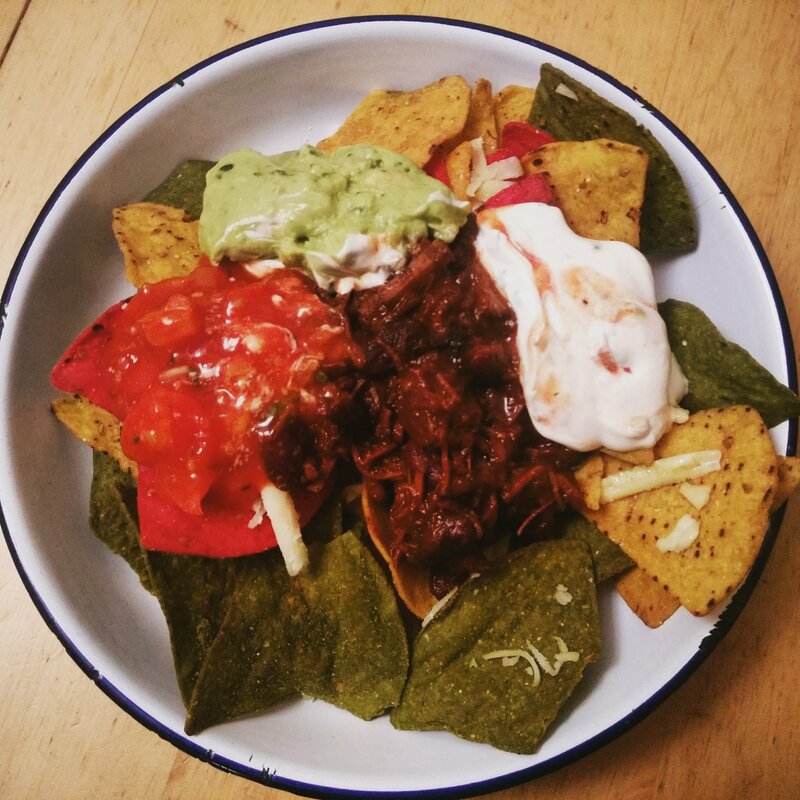 Chop the brisket into chunks, toss in a couple of tablespoons of the chilli mix and pop into a large bowl. Empty the beer onto it and leave to marinade for as long as possible (overnight is great. Chop the onions and add them to the pan and sweat. Add in your chopped fresh chilli and cook through a little further, add the tomato paste and cook for a further few minutes. Add your beef (but retain the beer mixture), stir well and add a few tablespoons of your spice mixture. You have to work by smell here but go easy, you can always add more but you can’t take it out! Let the beef colour a bit then add the beer. Let the liquid reduce by half. Add cinnamon stick and tomatoes, bring to a rolling boil then put into an oven about 120c for at least 4 hours (i try and go for 6) or chuck it into a slow cooker. Check it every few hours and give it a stir. Take it out of the oven after cooking for a few hours and add your kidney beans, you need to add these in alter else they will just disintegrate. Once the beef can be pulled apart and the liquid has reduced to a thick sauce you can remove and shred the beef. Tried this on the weekend. Superb! So pleased to hear that! !